I joined the 59th in 1941 after being wounded while serving with the 44th Tank Regiment having joined the 6th Gloucesters in 1938 and being turned into a tank battalion. I was eventually invalided out in 1944. I was a D&M instructor at Barnard Castle and we trained chaps over a period of about six weeks. Men were taught to drive in 2½ days and four weeks later taught to drive Churchills and 7-ton armoured cars with hazardous powered steering -- also in 2½ days. A feature of the social life was the LIX Chronicles edited by a colleague, Russell Mallet, a civvy street school teacher. 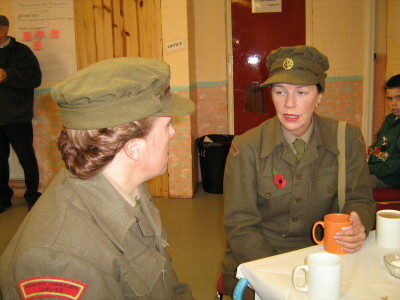 The 59th was used as a base for other operations and we had a wide range of civvy street professionals there. Maybe this email might be seen by some who are still with us.